Inflamed gums are something that many people choose to ignore until the condition becomes so painful that they have no other choice to seek dental care. What they might not realize is that delaying treatment may do more than cause them undue pain. It could also eventually land them in a cardiologist’s office or rehab center. Why? It all boils down to three words, oral systemic health. 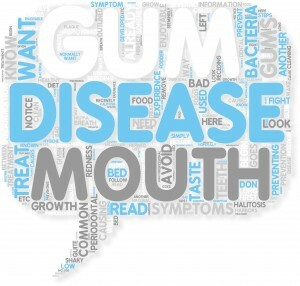 Over the years, research has shown a distinct connection between the condition of our teeth and gums to our overall health. Inflamed gums are no exception. When the gums are inflamed for prolonged periods, they can create pathways leading to the person’s circulatory system. As a result, bacteria may potentially use those pathways to enter the blood stream and instigate a chain reaction. Thankfully, there are Maxillofacial Prosthodontists like Dr. Michael Cortese, who are experts in matters related to oral systemic health. As a NJ Top Doc experienced in oral systemic health, Dr. Cortese is capable of helping patients address dental issues before they have a chance to impact other areas of the body. He is also skilled at working with other physicians to treat oral health conditions that may be related to other health problems, like cancer and cleft palate. To speak with Dr. Cortese and broaden one’s understanding of oral systemic health, please contact him at Princeton Prothodontics today. To reach his dentistry office staff in New Jersey and set up a meeting, please call (609) 683-8282 or send an e-mail.